If your skin is dry and prone to cracks, a nourishing face oil is all you need to fix it. 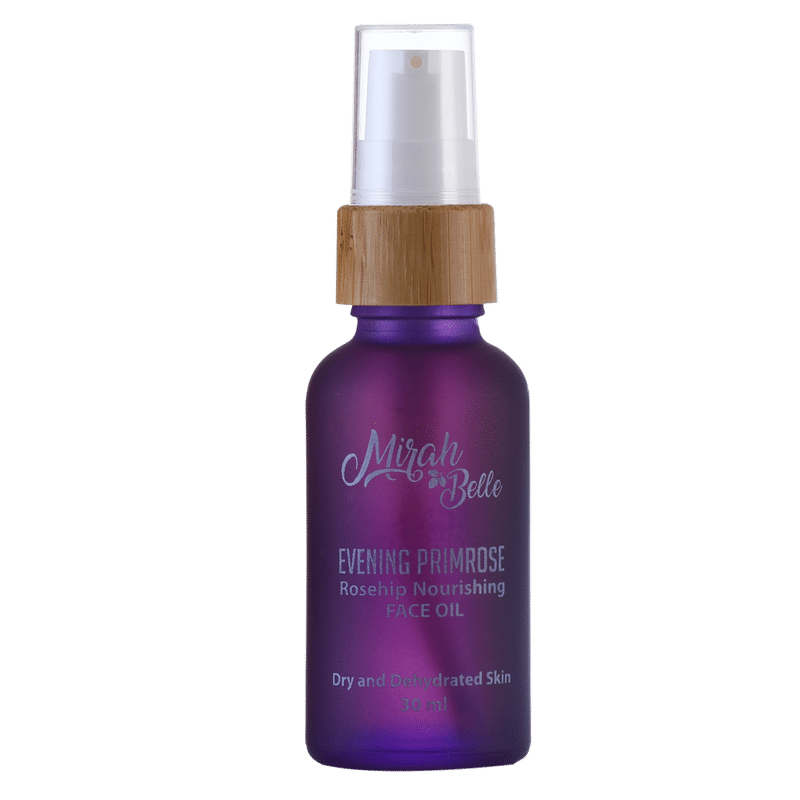 Mirah Belle Evening Primrose-Rosehip Nourishing Face Oil helps to keep your facial skin moisturised and helps you own the glow you have always wanted! This oil contains natural fatty acids, antioxidants, essential vitamins and minerals that come together to keep your skin nourished and youthful looking. A moisturizing oil for dry, ageing or chapped skin, evening primrose keeps skin problems at bay. Loaded with vitamins, antioxidants and essential fatty acids, rosehip oil corrects dark spots and hydrates dry, itchy skin, all the while reducing scars and fine lines. Suitable for dry and dehydrated skin.